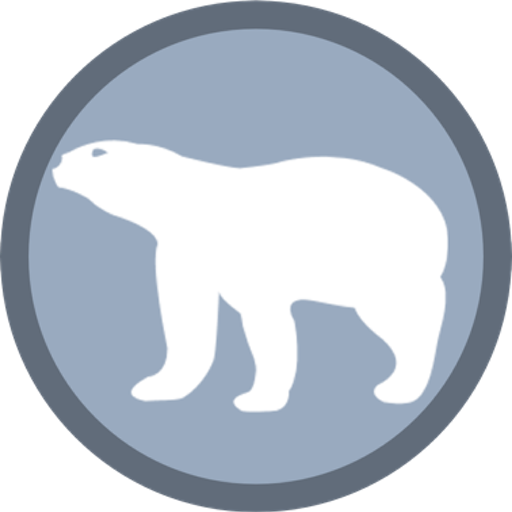 The polar bear’s official status is Vulnerable as listed by the International Union for the Conservation of Nature. Some of the population sizes are threatened while most of them are thought to be relatively stable. Vulnerable species are those that are most likely to become endangered if the conservation efforts are not improved. 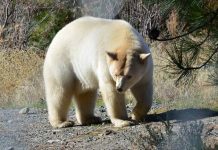 There are eight significant factors which are considered in order to assess the conservation status of any species let alone polar bear. The overall population size of a polar bear is estimated at 25,000 – 31,000 but still many bears are thought to be uncounted. 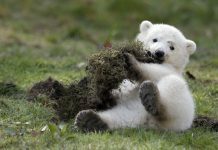 Biologists believe that worldwide figures do not reflect on the Russian polar bears population. That is to say that current numbers are highly understated. The polar bear habitat mainly consists of sea ice combined with the icy water where seals are abundant. 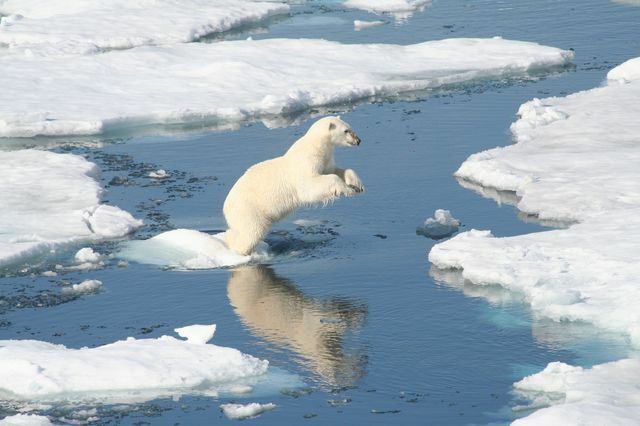 The occurrences of sea ice primarily determine the status of polar bears. The higher is the density of ice floes the greater is the probability of polar bear survival in the arctic. Currently the climate change likely influence the arctic sea ice. Main Article: How Many Polar Bears are left in the World? Studies reveal that polar bears do not appear to face short-term threats to their survival however long-term trends are not really favorable for the bear. Scientists maintain that ice bears may very well face extinction in the next 50 years or so but the argument is still debatable. The home range of polar bears is extremely wide that even biologists could not count the number of individuals occur in a specific area. As far as the area is concerned polar bears do not seem to be threatened. Over the past 40 years the range is increased rather than limited by the animal’s presence. Read More: What Eats Polar Bears? 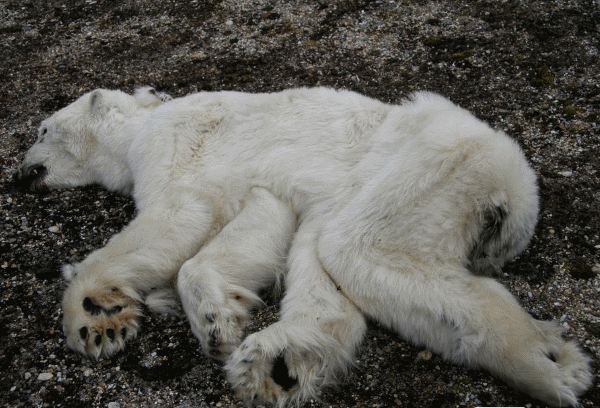 Polar bears likely face threats not only from the professional hunters who kill 50 – 60 polar bears each year but also from the global climate change. Unquestionably the global temperature might change the scope of polar bear’s threats in a negative fashion. Arctic is unsuitable habitat for humans to live on. That is why except for few remote areas there appears to be minimum human presence around the polar bear’s habitat. The environmental conditions favor the bear rather than her predator. The conservation societies must step forward to protect the natural habitats of polar bears which can be threatened by the climate change. At the moment the protected occurrences is almost nil which is a bad news for the polar bear status in future. 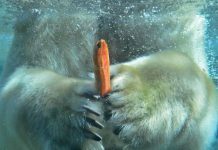 Some of the intrinsic factors also play a part in defining the status of a polar bear. 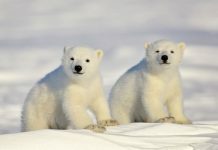 Although the United States is the first country to have protected polar bears under the Marine Mammals Act the Oil and Gas development activities are highest at the North Slope in the Beaufort Sea. The operations have been largely expanded since its first installment in 1970s. Other projects such as roads, pipelines, and power lines are adversely affect the status of Alaskan polar bears. Canadian authorities installed 85 oil explorations facilities in the Beaufort Sea that fell inside the Canadian territory. Making things worse the government is issuing permits to promote petroleum explorations. All these activities are carried out within the polar bear’s habitat—destroying it absolutely. 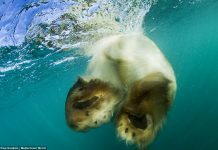 The Barents Sea inside the Norwegian territory thought to be relatively safer until in 1997 when government began issuing licenses for oil and gas explorations in the polar bear’s habitats. The southern Barents Sea is already showing terrible effects as a consequence of petroleum operations that continue all throughout the year. Scientists must insist on protecting the bear’s habitat from each human activity—hunting as well as development. Main Article: Are there Polar Bears in Greenland? Similarly the Danish governments in cooperation with the Greenland government are trying to promote oil and gas explorations 200 kilometers northwest of Nuuk, Greenland. The western coast is not safe either as Ikermiut Ridge, Lady Franklin Basin, Kangaamiut Basin, and Paamiut Basin in the Labrador Sea have been opened for oil explorations. 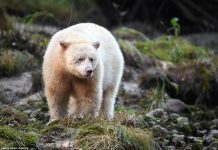 The developments in the Baffin Bay and Davis Strait are thought to leave polar bear’s habitat vulnerable ever than before. In the Russian Barents Sea the government is planning to initiate industrial oil productions on the southeastern tip of the Sea. Besides she has already issued license to the privately-owned company to build oil-gas pipeline which might have been operationalized. All these developments have terrible effects on the geographic location of a polar bear in that the bear is forced to leave her natural habitat. The natural occurrences of the bear’s habitat is disturbed. HOW CAN WE SAVE POLAR BEARS? : However insignificant it might appear the truth is that every single human hand can actually save polar bears and it doesn’t matter if your habitat is miles away from polar bear’s habitat.